The new Pica storage unit is here to spice up your living room with a touch of color! Come take a closer look at Salone del Mobile, Hall 8, Stand A25 B24. Light it up! Cloe is our new lamp with a minimal and elegant design. Stop by and make your day brighter! Every corner of our stand has its own theme and inspirational mood, like by and discover them all! What’s your favorite? International Furniture Fair, Hall 8, Stand A25 B24. Do you wish a comfortable and elegant livingroom to study, write, create and share? 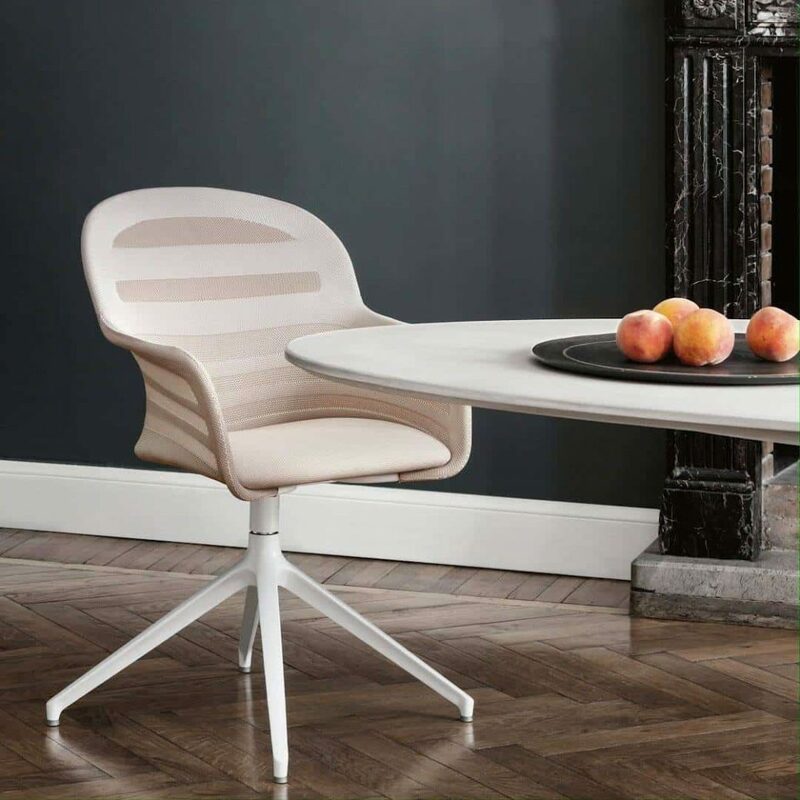 Discover more about the Genio table (https://bit.ly/2N63lvI) and the Mood chair (https://bit.ly/2S5Bvkd) by Bontempi Casa. From the residential environment, lounge spaces and home offices, to the location contract. The Suri chair is suitable for all environments, and its ergonomic sinuosity, accentuated by the elastic mesh fabric of which it is covered, guarantees correct support and an enveloping seat.